CSS (Cascading Style Sheets) is a representation style sheet language used for describing the look and formatting of HTML (Hyper Text Markup Language), XML (Extensible Markup Language) documents and SVG elements including (but not limited to) colors, layout, fonts, and animations. It also describes how elements should be rendered on screen, on paper, in speech, or on other media. Every new developer inevitably finds that centering a div isn't as obvious as you'd expect. Centering what's inside a div is easy enough by giving the text-align property a value of center, but then things tend to get a bit sticky. When you get to centering a div vertically, you can end up in a world of CSS hurt. A wide range of topics, tips, tricks and the ins-and-outs of working with the Bootstrap library and CSS framework with Asp.Net’s MVC Framework. An Image Sprite is a Collection of images compiled or put together in a Single image. The process of compiling images together does not necessarily benefit a web developer, but it definitely gives a tremendous boost to user experience by delivering or serving the graphic filled web page much quicker than usual. If you mention printing with CSS to many people who work on the web, print style sheets are the use that comes to mind. We are all well used to creating a style sheet that is called upon when a web document is printed. These style sheets ensure that the print version is legible and that we don’t cause a user to print out huge images. However, CSS is also being used to format books, catalogs and brochures — content that may never have been designed to be a web page at all. "I recenly came across posts on Reddit and DesignerNews that were talking about CSS Puns, there were some really good ones in there. I have collected them and shared them with you in here." Did you know that we can hardware-accelerate graphics-intensive CSS features by offloading them to the GPU (Graphics Processing Unit) for better rendering performance in the browser? The web has typically been a place of boxes and rectangles but an emerging CSS specification is going to change that. 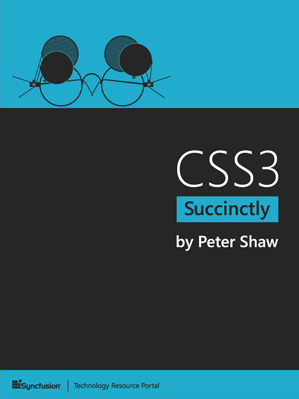 Learning about CSS specificity will give you a deeper understanding of how CSS property values are resolved. I guess you have used the float property a couple times. And I bet you wondered about some of its weird behavior, too. “How Floating Works” provides a very visual and clear explanation of floated element behavior. The CSS power couple. When used together, these properties allow you to create simple animations and add valuable interaction and visual feedback for your users. Since the documentation process is often the weakest spot for modern web teams, we’re constantly looking for the right tools to help us. CSS is an unstructured language. Everything can be accomplished in twenty-five different ways. (And if you’re part of a team: everything will be accomplished in twenty-five different ways.) The biggest problem is arguably CSS’s biggest selling point: there’s a quick fix for every problem. Just put a new rule at the end, upping the selector’s specificity a bit. Unlike their musical counterparts, named for the “Rapid Eye Movement” during deep sleep, in CSS rem stands for “root em”. They won’t make you lose your religion nor believe in a man on the moon. What they can do is help you achieve a harmonious and balanced design. When you want your CSS to be reusable, how do you have several people working in git branches on different pages without writing completely separate styles? As web designers and developers, one of our primary goals is to bring focus to content and make it easy for our visitors to navigate that content. To accomplish this goal, we need a functioning layout where technology gets out of the way and the content becomes the hero. Using CSS to style our React content is actually as straightforward as you can imagine it to be. Because React ends up spitting out regular HTML tags, all of the various CSS tricks you've learned over the years to style HTML still apply. There are just a few minor things to keep in mind. Excitement about native CSS Custom Properties is generally tempered by the incorrect comparison to variables used in preprocessors like Sass or LESS. Why, exactly, does our CSS abuse classes so mercilessly, and why do we litter our markup with author-defined classes? Why can’t our CSS be as semantic and meaningful as our markup? Why can’t both be more semantic and meaningful, moving forward in tandem? If CSS is not the primary language you write, debugging CSS may currently feel like a dark art; following this guidance may help you isolate and deal with CSS bugs more effectively. What all can you do with a single div element using pure CSS? Few things are as annoying on the web as having the page layout unexpectedly change or shift while you're trying to view or interact with it. Animating elements in your mobile applications is easy. Animating elements in your mobile applications properly may be easy, too… if you follow our tips here. 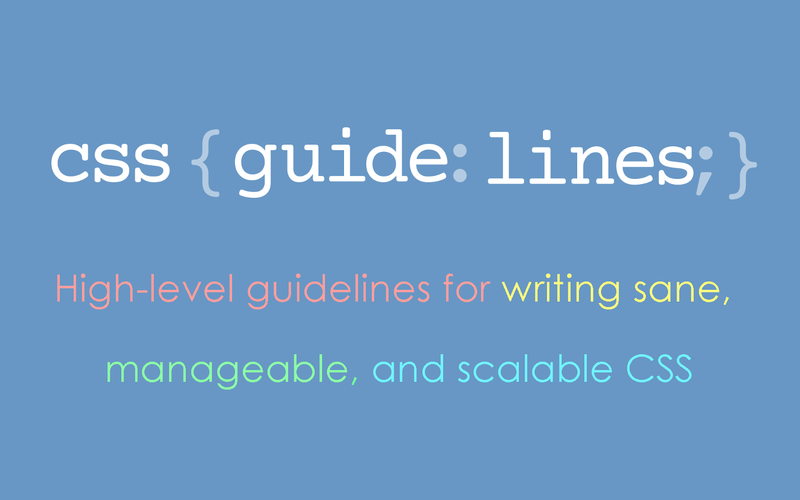 An introduction to CSS architecture that will help you design a structure for your code so your projects and teams can grow without becoming an unmanageable mess. This one’s for the absolute beginners. Once you’ve learned how the box model works, and how to float those boxes, it’s time to get serious about your CSS. To that end, we’ve compiled a massive list of tips, tricks, techniques, and the occasional dirty hack to help you build the design you want. CSS takes literally no skill to code. And that is absolutely true, styling one element at a global level with no other CSS to worry about is easy. CSS has a long history of providing frustrating and nonsensical solutions to the simplest problems of front-end design, while thoughtfully implementing one-line features to solve problems nobody cares about. The most interesting thing I learned reading the spec was exactly how un-thorough my understanding was, despite the half-dozen or so blog posts I’d read, and how relatively simple flexbox is. It turns out that ‘experience’ isn’t just doing the same thing over and over for years on end. What’s the best way to understand Flexbox? Learn the fundamentals, then build lots of stuff. And that’s exactly what we’re going to do in this article.